Background: Dr. Seuss Day has grown into more than just an occasion to celebrate his work; it’s about spreading the joy of reading to young people. That felt like something the Farmers brand, which stands for knowledge and experience, and its spokes-character, a professor, could get behind. 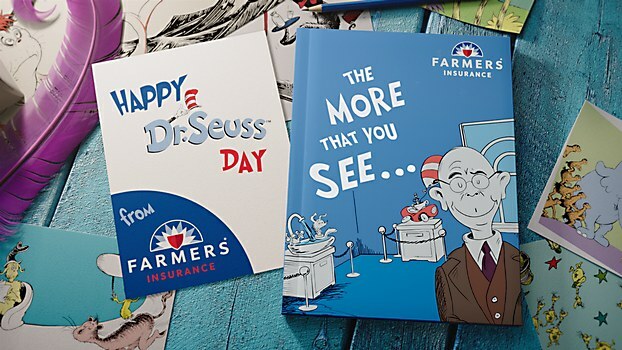 We especially like how Dr. Seuss’s delightful and unexpected storytelling complements our unbelievable-but-true We Know From Experience campaign, enabling us to share in his whimsical world in an authentic way. Reasoning: Dr. Seuss’s stories are usually based around a central lesson, so we created our own: “The more that you see, the more that you’ll know.” From that, we were able to create our Seussian Farmers story that pans across several true claims that Farmers has seen. We also learned that Dr. Seuss Day is widely celebrated with activities in the classroom and at home. 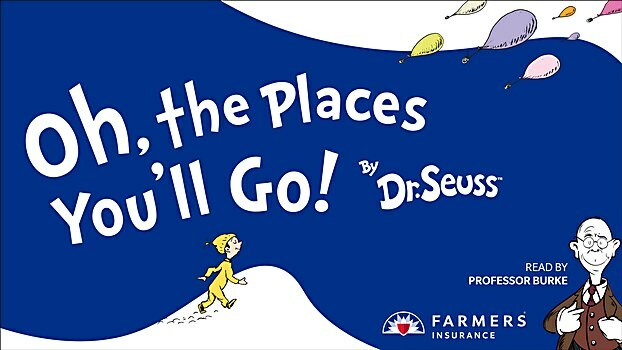 That led us to create not only the Seussian Farmers story but also a long-form video read-along of Oh, the Places You’ll Go!, read by our own Professor Burke. 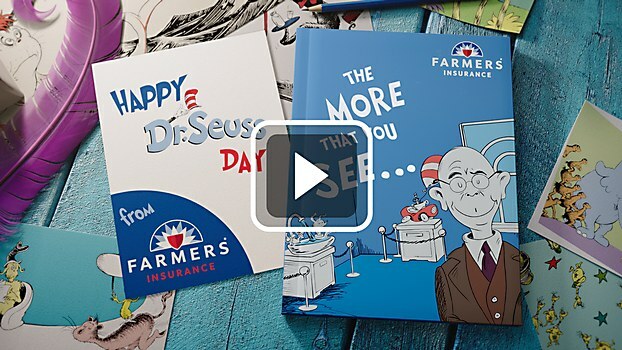 We went beyond creating advertising by making something that can be used by teachers and parents to spread the positive impact of Dr. Seuss’s legacy and promote the joy of reading. 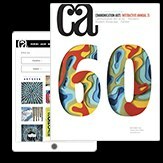 Challenges: Everyone working on this project, from clients to the production company and internal teams, were receptive to the idea’s creative potential. 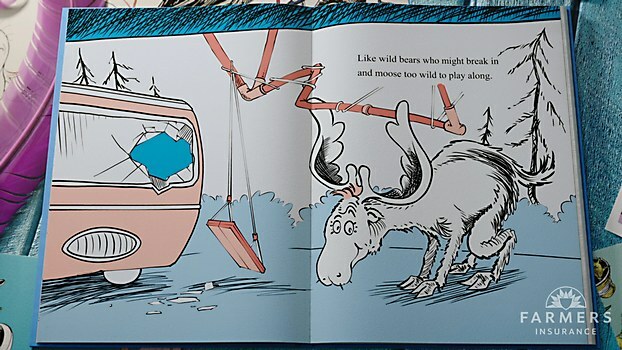 The collaboration with Dr. Seuss Enterprises was wonderful. The company was generous with access to the artwork of Dr. Seuss, as we looked for fun ways to incorporate those elements into our story. The one-minute spot remained true to the mission of celebrating Dr. Seuss’s legacy and spreading the joy of reading throughout the process. Favorite details: We were able to bring back some of our most beloved stories from our We Know From Experience campaign in a fun, new way. We are also proud of the teams at Passion Animation Studio, who were crucial in helping us re-create those stories in Dr. Seuss’s iconic style. 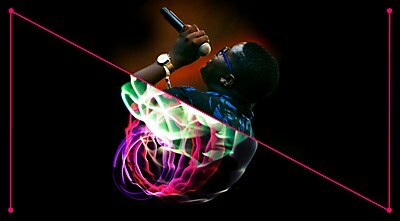 Both sides thoroughly enjoyed the creative process, and we think that shows. 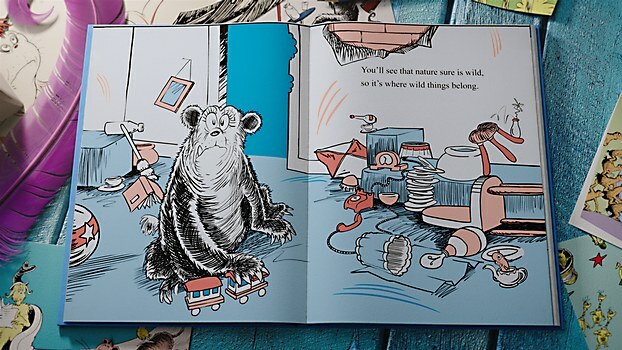 Visual influences: At RPA, there is a conference room dedicated to Dr. Seuss; our visual influence was always staring us in the face. Sticking to Dr. Seuss’s classic style was a must, as there are not many better ways to get that instant recognition than to be true to the original. 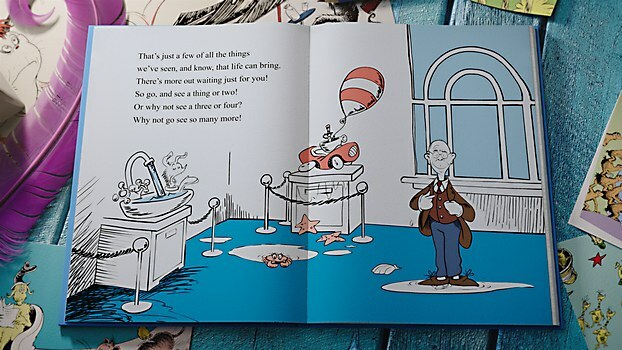 Anything new: Positive attitudes, the client’s openness to creative ideas and the collective love of Dr. Seuss went a long way toward completing the project. Even with one of our collaborators located across the globe, everyone’s passion for the project made it easy to manage a creative workflow.